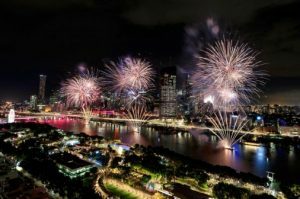 Experience the magic of Christmas and New Year at one of Brisbane’s newest rooftop bars, The Terrace, located on the 21st floor of Emporium Hotel South Bank. With two fantastic events planned at the breathtaking venue over the festive season, there really is no better venue to celebrate the festive season with family and friends. Take the stress out of Christmas Day entertaining with an exclusive sit-down dining experience at The Terrace on 25th December 2018 from 12pm until 3pm. Guests will enjoy a three-hour premium beverage package, complete with Champagne, delectable seafood platters and an indulgent Christmas buffet. Plus, a special visit from Santa and gifts for children will make this perfect for the whole family to enjoy. Prices are AUD$295 for adults, AUD$255 for under 18s, and AUD$195 for under 10s. 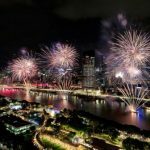 New Year’s Eve 2019 at The Terrace will certainly be one to remember, with incredible sweeping views over the Brisbane River and city; this will be the ultimate viewpoint to marvel at South Bank’s spectacular NYE firework display. Tickets are AUD$250 per person and include a five-hour premium beverage package, selection of substantial canapes and live entertainment. Tickets for both events are strictly limited; festive diners and revelers are encouraged to book early to avoid disappointment. Developed by the Anthony John Group, Emporium Hotels is Australia’s most awarded boutique luxury hotel brand. The new flagship Emporium Hotel South Bank is located on Grey Street, within the premium AUD$600 million Southpoint precinct. To purchase tickets call 07 3556 3333, visit https://emporiumhotelsshop.com.au/events, or email Jordyn.deamer@emporiumhotels.com.au.